Concept design of the Melbourne Metro Rail Project tunnels traveling under Swanston Street in Melbourne’s CBD. 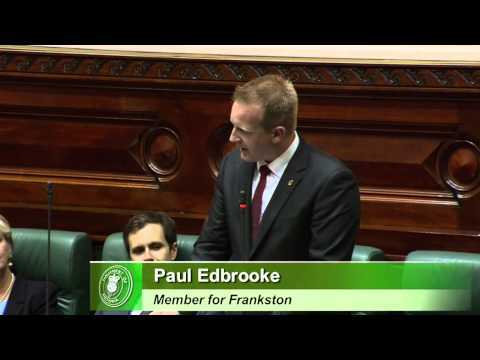 Paul Edbrooke as the new State Member for Frankston delivers his Maiden Speech. Premier Daniel Andrews and Minister for Public Transport Jacinta Allan announce the Frankston Station Precinct redevelopment project.